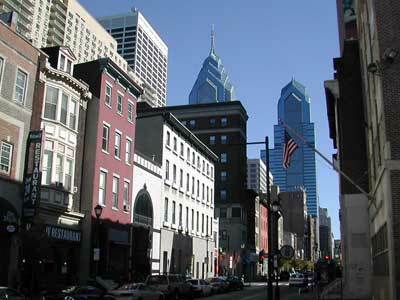 Philadelphia is without a doubt one of the most historic cities in America. Philly is home to landmarks such as the Liberty Bell and Independence Hall as well as popular tourist destinations like the Philadelphia Zoo, the Philadelphia Art Museum, the Rodin Museum, and the Franklin Institute. When tourists come to the City of Brotherly Love, the aforementioned attractions are sure to be on their list of “things to see”, but all tourists long to digest something that further personifies the Philly experience, a cheesesteak. The Philly cheesesteak is not only a tourist draw but a Philadelphia icon. While restaurants, bistros, and pizza shops around the world often try to duplicate the cheesesteak, the sandwich made famous within the city limits cannot be cloned. Whatever your passion, be it Cheez Wiz, American cheese, provolone cheese, fried onions, or peppers, your authentic cheesesteak, if made correctly, will be a true balance of tastes and a perfect union of ingredients. 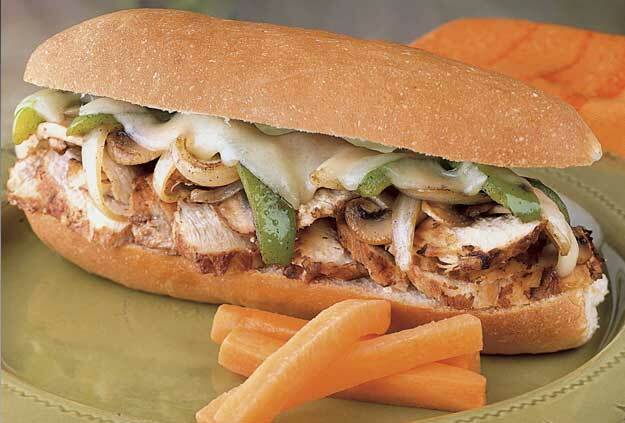 It is Philadelphia’s favorite sandwich and a necessary piece of the complete Philadelphia experience. The dilemma tourists face is not to question if they should have a cheesesteak, but where to go for the best and most authentic Philly cheesesteak experience. If you live in or around Philadelphia, you probably have tried at least a few cheesesteak places and have possibly found your favorite. Tourists and locals alike enjoy the two famous competitors, Pat’s and Geno’s. Pat’s King of Steaks keeps the classic cheesesteak joint look with its basic orange and white color scheme and simple format. You order your steaks at one window and your drinks and fries at another. Directly across the street is Geno’s Steaks. Geno’s has elaborate neon lights and signs to attract eaters. At night, Geno’s really glows and draws in customers with their food and with their dazzle. With the competition is tight between the cheesesteak places, both Pat’s and Geno’s have intense followers. If you are traveling to the Philadelphia area, you will need some guidance in finding the best cheesesteak. While your taste buds will generate your own opinion of “the best”, here is where to go to sample the best Philly has to offer. Geno’s Steaks (1219 South 9th Street) provides a cheesesteak with meat that is not chopped into the small pieces, style many Americans are accustomed to. Geno’s steaks, along with the other traditional Philly steaks you will be seeing around the city, come with cheese and onions. There are a variety of cheese options, but the most popular are American and Wiz (or Cheese Wiz for you non locals). Wiz is definitely a Philly thing, and is at times considered disgusting by non-Philadelphians. Geno’s steaks specifically have no difference in their cheese selection than any other place – cheese is cheese is cheese. They claim to simply have the best steaks. Pat’s Steaks (1237 East Passyunk Avenue) doesn’t even consider their sandwich a “cheesesteak.” They are known to sell “steak sandwiches,” even though there is technically no difference between Pat’s and Geno’s basic recipes – both are cooked steak, the cut Pat’s uses is thinly-sliced rib eye steak. This is the essential difference. They claim that their chopped meat makes the sandwich. Pat’s or Geno’s, that is the question. Or is it? I think they are both great, but sadly, they can’t hold the title of the greatest. As a traveler who is looking for the best cheesesteak, why not make the choice between 3 landmarks instead of 2. Enter Jim’s Steaks (400 South Street) )as my embodiment of the best cheesesteak in town. Jim’s meat quality is remarkable higher than both Pat’s and Geno’s. After tasting the melt in your mouth goodness of a steak at Jim’s, you will never be able to enjoy the fatty steaks from Pat’s or Geno’s again. Jim’s has the clientele to prove it too. At lunch and dinner times, you’ll find a line that wraps around the side of the building. Next time you are in Philadelphia and craving that Philly cheesesteak, think twice about the Pat’s or Geno’s. Give the South Street legend Jim’s a try! Nicolas Dianhelo, the author of “The best Philly Cheesesteak” is a culinary expert and a travel blogger who lives in Philadelphia.